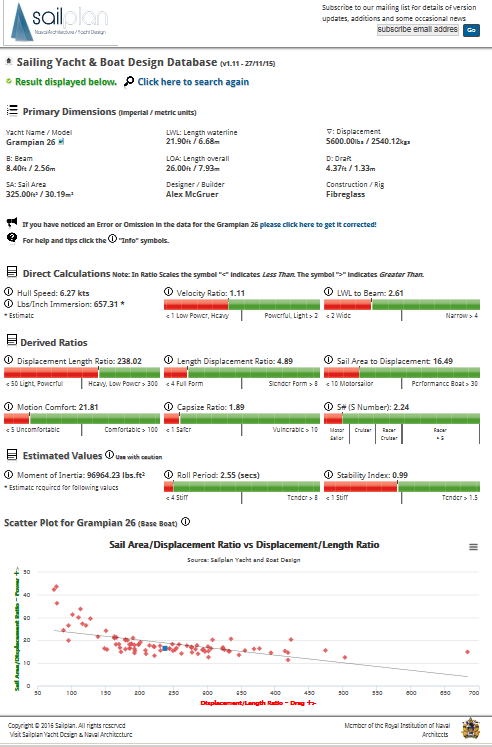 Grampian 26 ⛵ "Worlds Largest 26 Footer" : Grampian 26 Resources, Reviews, Videos, and other Links.. If you are visiting this blog, then you've probably already aware of most of these. Check back often as more are being added..
First and foremost in this list of links, of course goes to grampianowners.com . This website, which since it's inception on January 1, 2002, is your one stop source for everything concerning Grampian Marine LTD. - It's the ultimate all-inclusive source available anywhere! 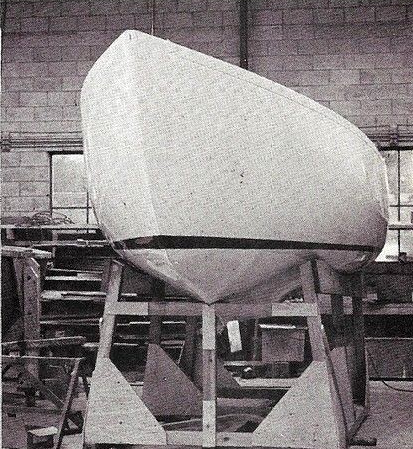 History, specifications, and details on every boat Grampian ever built. Includes original documents, brochures, tips & advice, stories and voyages, and an ongoing inventory, with photos, of known Grampian boat and boat owners which are still afloat. forum is also geared for all sailboat owners. For Grampian line of sailboats. Share or ask other owners how to deal with a problem you have. 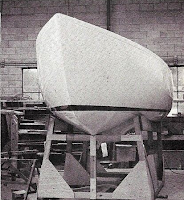 A closed group facebook page (currently with about 50 members) for owners of all model Grampian boats. In no particular order. These are just a list of links pulled from my bookmarks. They are all Grampian 26 specific personal blogs and websites. Some of them I haven't visited in a while, but I'll be adding brief descriptions of each link sometime in the near future. If you have a personal blog or site about the Grampian 26 not listed above, please let me know! Reviews from magazines, books, and websites:. Those golden years,.. produced some notable boats and a lot of forgettable boats. Despite the fact that it may not be the most handsome boat afloat, and that's putting it charitably, the Grampian 26 falls into the notable boat category... this roomy 26-footer was well-built, sailed better than it looked and has endured as something of a cult boat for those looking for a capable but inexpensive small cruiser...at least one Grampian 26 has completed an Atlantic Circle and countless others have made the long trek from the Great Lakes to the Caribbean and back, and that qualifies as seaworthy. THE VERY FIRST G26 REVIEW EVER! SNIPPETS:: I rowed the dingy through a maze of obstacles--sailboat rigging, overturned hulls and downed trees blocking the waterway. I scraped across something solid just under the surface. It was the cabin top of a sunken sailboat, about the size and shape of mine. I looked closely into the dark water but was relieved to see that this boat was not Intensity . 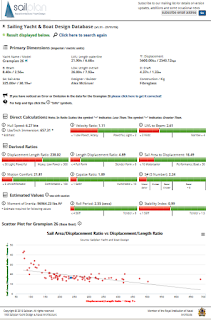 The Sailing Yacht Design Database is free to use and targeted at Yacht Design Studios, Students and Enthusiasts researching parameters of existing designs (LWL, DSPL, SA) for use in their design projects.The app lication has been developed by Paul Keane with direction and input from Eric Sponberg. Read the complete story behind the original idea to develop the application. The European Institute of Yacht Design have also recently published a companion article on the development. Visitors can search through over 3000 Yacht Designs and generate reports about specific yachts which include comparative scatter plots. There is also a method for site guests to contribute new data so that this site might grow and become a community resource. Watch Grampian 26 videos found on Youtube. 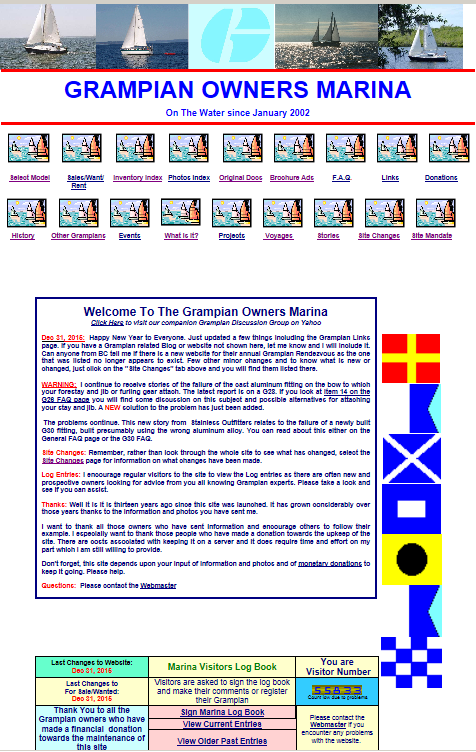 Although this websites name indicates a specific focus on Grampian boats, there's actually little mention at all!.. Nevertheless, it provides some good content. On the front page is found a brief description of what kind of site it is: "This is a tribute site for all old fibreglass sailboats and those who sail them".. So yes, The Grampian 26s do fall under that category! If you have a link to add, post it below.